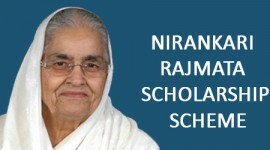 The Sant Nirankari Charitable Foundation has opened a Nirankari Vocational Centre in the Sant Nirankari Public School, Sector-16 A, Faridabad in Haryana. The sixth Centre to be run by the Foundation it was inaugurated by Rev C.L. 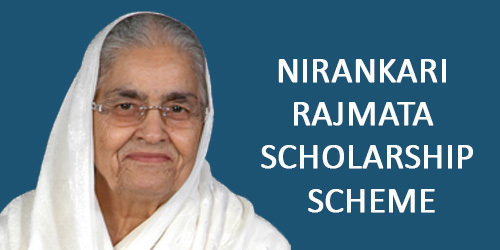 Gulati Ji, Secretary Sant Nirankari Charitable Foundation on July 10, 2015. Shri Sanjay Sharma, Manager of the Foundation, Shri V.K. Arora, Chairmen Sant Nirankari Public School , Faridabad and other members of the Management and staff as also the Nirankari saints of the area were present. Started with an objective to impart quality education to the youth, the centre started functioning with 22 students. The students were given bags on behalf of the Foundation. 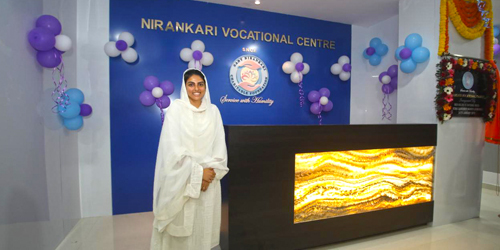 Nirankari Vocational Centres (NVC) are set up with a view to provide overall skill development to the youth of India in various fields.NVC which is a unit of Sant Nirankari Charitable Foundation, focuses on providing various skill development programmes at a very nominal cost for every section of the society. 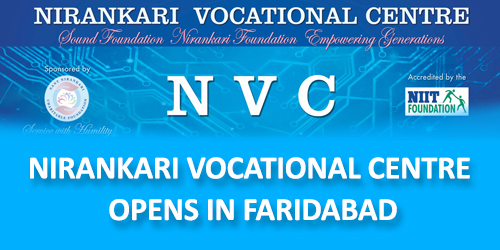 NVC emphasizes on the overall development of youth and also provides assistance in placement in different sectors as per their skills and requirements. NVC has expert and experienced faculty members for different courses like Information Technology including hardware, networking, computerized accounting, which are accredited by NIIT Foundation and languages, communication and interview skills, and many more which help the students for their overall development.At present NVC has many centers across Delhi NCR, Haryana and Punjab and many more are in the way to come in future. 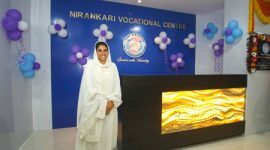 The first Nirankari Vocational Centre was set up at Sant Nirankari Public School, Sant Nirankari Colony, Delhi on April 15, 2014. The 2nd one was inaugurated at Sant Nirankari Public School, Tilak Nagar Delhi on June 16, 2014. The 3rd Nirankari Vocational set up was inaugurated at Sant Nirankari Public School, Malviya Nagar, Delhi on October 20, 2014. 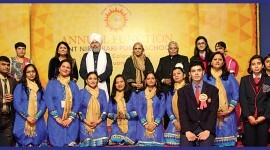 The 4th Nirankari Vocational set up was inaugurated at Nirankari Baba Gurubahan Singh Memorial College in Sohna , Gurgaon (Haryana) on November 07, 2014. The 5th Nirankari Vocational set up was inaugurated at Sant Nirankari Public School (Senior Secondary) ,Tajpur Road , Indra Puri, Ludhiana (Punjab).